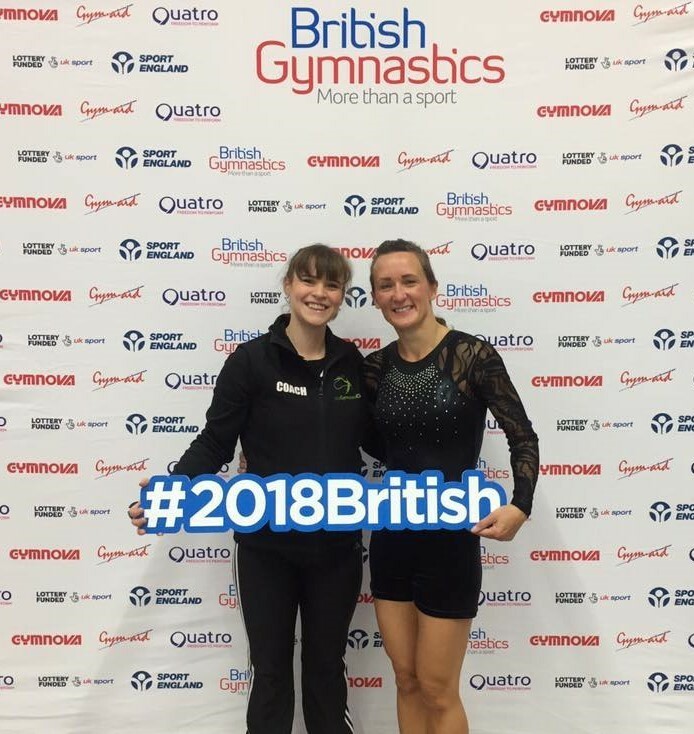 05th September 2018 A massive congratulations to all those who took part in the 2018 Adult Gymnastics British Championships on the 25th-26th August at Lilleshall National Sports Centre. 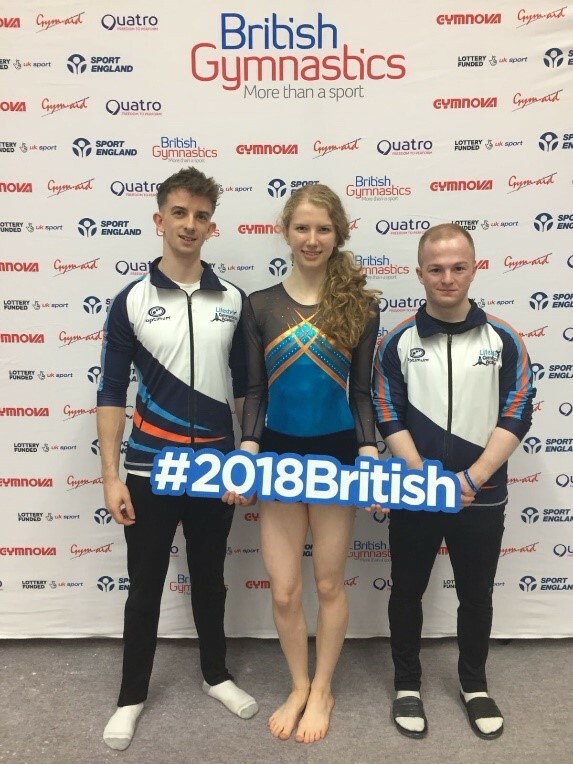 We saw three Northern Irish clubs travel across and compete in the Adults Gymnastics Championships which is open to anyone aged 18+ regardless of experience or ability, providing entrants with the opportunity to socialise and compete. The event is all about having fun in a relaxes atmosphere where competitors can meet like-minded people whilst showcasing their gymnastics skills to one another. Competitors can enter as an individual and as part of a team in Acrobatic, Men’s Artistic, Trampoline, Tumbling and Women’s Artistic competitions - we hope to see you there next year! 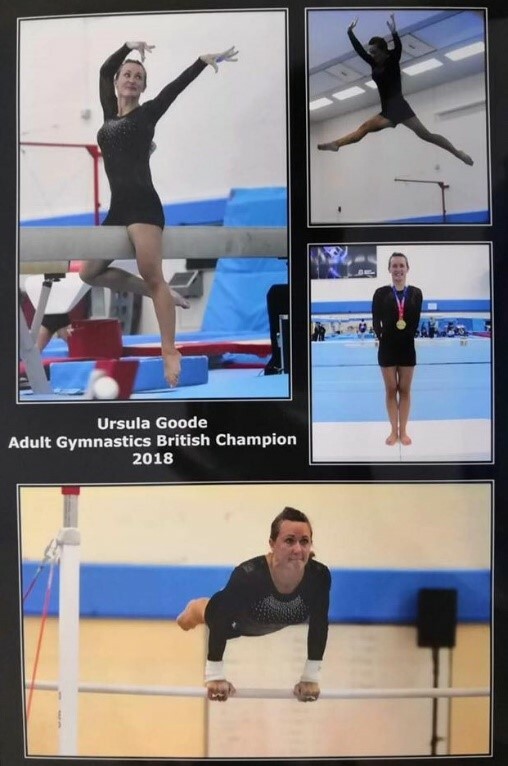 A massive well done to Sika Gymnastics Club in Coleraine who are delighted to announce for the second year in a row that their adult gymnast, Ursula Goode was announced as 2018 Adult Gymnastics British Champion in the Over 40 Novice section. This is a well-deserved moment for Ursula who has the club and coaches to inspire her with their great work ethic. Well Done Ursula and to her Coach Mary Robinson. Participating in the Adult Gymnastics Championships was a first for Lifestyle Gymnastics Academy and Coach; Kathryn Mills. Kathryn competed in a x4 piece WAG section and was placed 8th overall out of 30 people in her category and came 3rd on beam - a very successful result for a first competition. The Club had a fantastic time, and are already looking forward to next year, where they are hoping to bring more Adult Gymnasts from Lifestyle Gymnastics Academy to participate in the event. 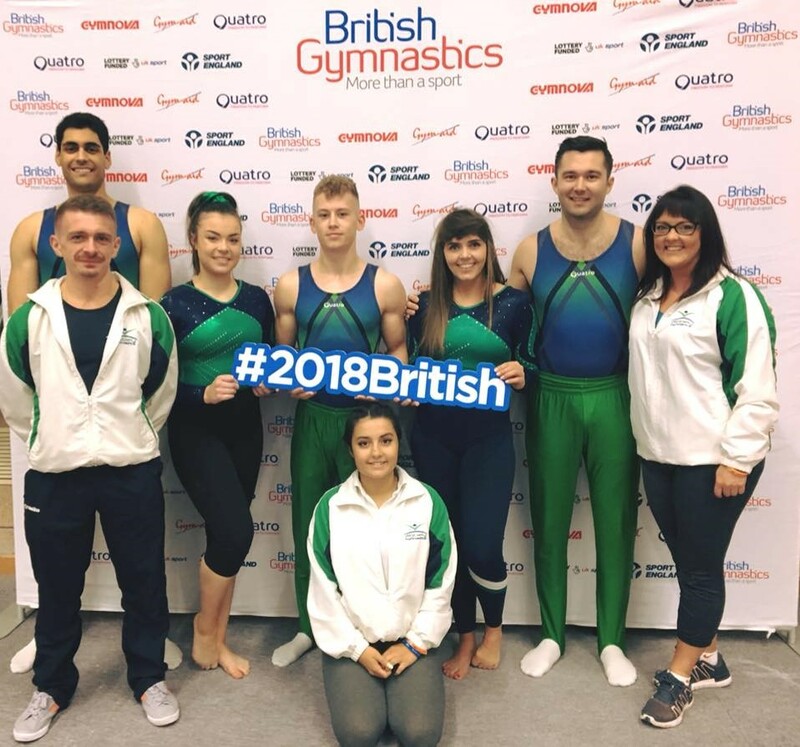 Congratulations to the magnificent team from Abbey Gymnastics CIC; Hannah Morrison, Mahdi Tavakoli, Connor McComb, Jourdan Brown and Nicole Blackburn who all represented Abbey GC at the Adult Gymnastics British Championships. There were great performances from all and an extremely enjoyable weekend. This is the second year that Abbey GC CIC have travelled across and have had a great experience at the competition. Coaches Alison and Anto are so proud of their medalists; Hannah Morrison who was 3rd place over18 Pro and Connor McComb who came 1st place over18 Pro. Well done to everyone!